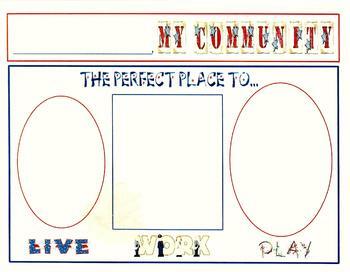 I use this after beginning a unit on communities. My students act as the mayor of their community and then draw a picture that will encourage folks to live , work and play in their town. This also acts as a piece of my assessment for the unit, telling me if they are able to identify significant things from their community. It also becomes a wonderful hallway display as our parent teacher conferences are happening.